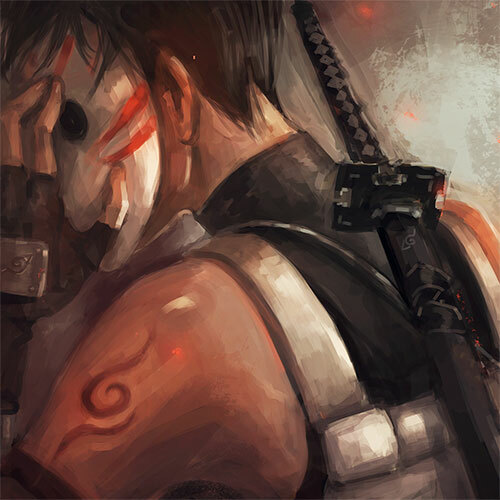 ANBU Legacy is a collaborative serial novel based on the world of Naruto, focused on the young men and women of ANBU. Set in the fifth year of the Yondaime's reign, it takes place in a Konohagakure where the the fourth Hokage defeated the Kyuubi—and lived. Legacy is the creation of writers Nezu, Ki, and DK, with editor Aubrey. Former writers GM and Zuul are now retired. Ryouma's medical punishment is bloody, but it comes with fringe benefits. In the aftermath of the office explosion, Raidou and Genma decide to take a night off. With alcohol. The consequences keep coming, and Ryouma and Kakashi learn to cope. Team Six's mission reports are classified, but rumors abound.